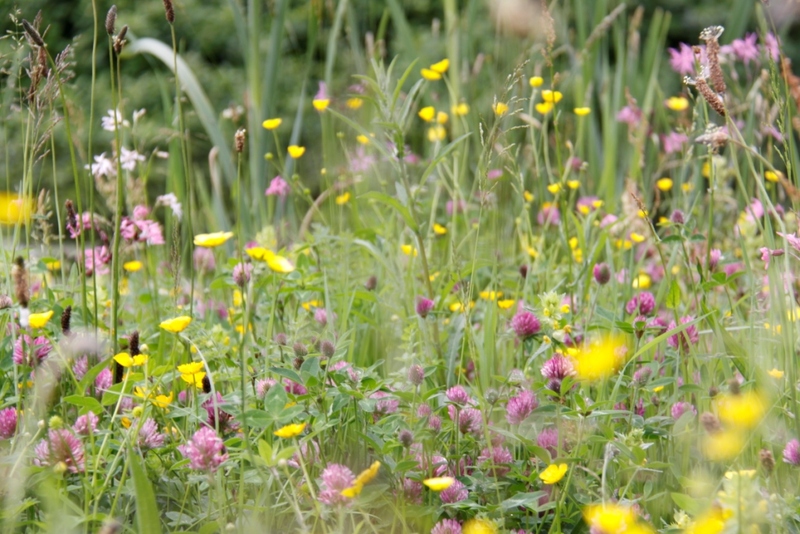 The facts: In the UK we have lost 97% of our wild flower meadows since the 1940’s. That’s right … in just 70 years MOST of our wildflower meadows have been ploughed up to make way for industrial estates, roads, houses and bigger fields better suited to modern machinery and intensive farming methods. Most of the remaining farm land has been treated with herbicides to prevent weed growth and insecticides to kill insects. If they survive the chemical onslaught native wildlife is still in jeopardy. Loss of hedgerows and wildflowers means loss of habitat and food for birds, small mammals and insects. They simply have nowhere to live and nothing to eat. No wonder we don’t see as many beautiful creatures as we used to. There are several national organisations such as the Wildlife Trust plus many local groups who are determined to reverse these downward trends. Conservation and careful land management are key. In addition, government grants to farmers over the past twenty years have encouraged habitat restoration… field edges are being developed so that wildlife has safe corridors to inhabit and move along. You may have also noticed that motorway embankments have been sown with wildflowers and closer to home your local council may be mowing just a one metre strip of grass on roadside verges instead of the entire verge. Things are definitely improving. Now I’m not saying we should go back to the good old days when tiny fields were managed by teams of farm labourers… but I do think that we could all do more to help our wildlife. I know that it makes my day if I’m lucky enough to have a close encounter with any wild creature and I know that many people feel the same way. I feel that we all have a role to play in improving the environment for wild creatures. There are several things that we gardeners can do. All of them are quick and easy. • Early autumn is the best time for this, so September is perfect. The second best time is in spring, in March or April. 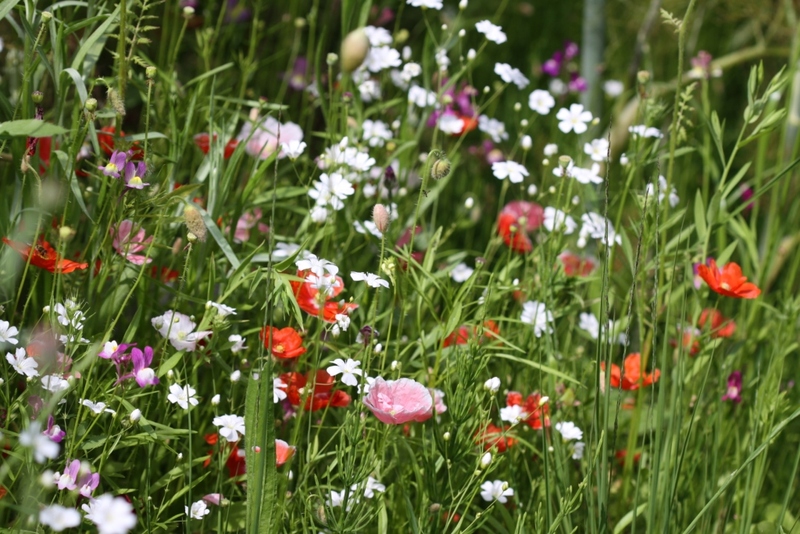 • Choose your hardy annual wildflower seed mix – for mini meadows small packets of seed are available from all good nurseries and garden centres and from seed suppliers online. • Select a patch of good earth in your garden in a sunny sheltered position. • Clear the ground of all weeds and grass making sure you cultivate to a depth of 15cm / 6 inches then rake the soil to a fine tilth. • Scatter your seeds evenly over the prepared ground. Please resist the urge to sow too thickly… it’s never good for the plants. Mixing the seed with a carrier such as dry sand at a rate of 10% seed to 90% sand will help you to see where you have already sown the seeds. • Water carefully with a fine sprinkler. • The plants will grow and develop during autumn and winter and will flower in May next year. Remember that plants strive to produce seed… once they have done that they will die. It’s important to dead head often or cut flowers for the house to prevent seed setting. If you’re vigilant you can prolong flowering until the end of summer. • At the end of the season let the flower heads form seed pods. Allow sow to self sow and collect the rest in paper envelopes for sowing elsewhere. That’s it… it’s so easy. You will be totally amazed by the wildlife you attract and how wonderful your garden looks with the minimum amount of effort from you. Please don’t use insecticides or pesticides. 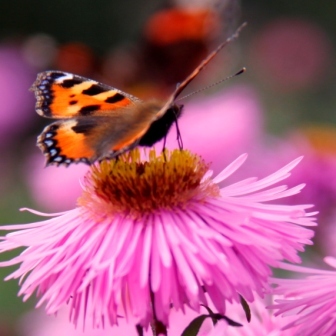 They kill butterflies, moths and other pollinating insects. They also kill ladybirds, ground beetles and spiders … the natural enemies of your garden pests. Our wildlife really needs your help. Have a look around your neighbourhood. 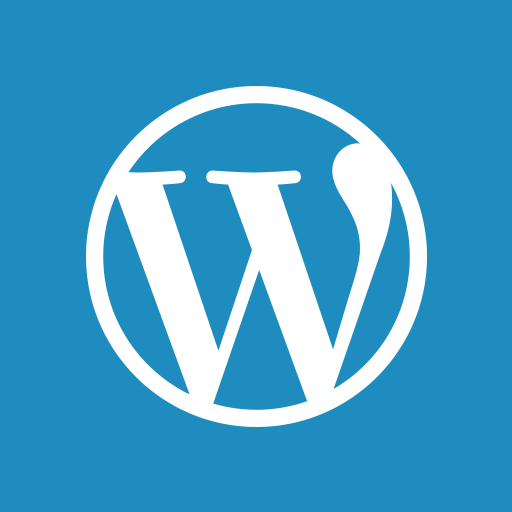 Checkout open spaces such as your village green, school playing field, church grounds, community hall, park, children’s playground and shop window boxes. Is it all TOO GREEN and well manicured? Are there any patches of bare earth? Is there any space for some wildflowers? Could the empty window boxes or planters accommodate some flowering shrubs? • A more beautiful environment for your community. • Food and homes for wildlife. • More pollinating insects for farmers and keen vegetable gardeners. • Magical moments for our children when they see wildlife every day. Can you enlist help to make a few changes to neglected space in your own community? Alternatively could you improve your own garden by making a mini wildflower meadow?